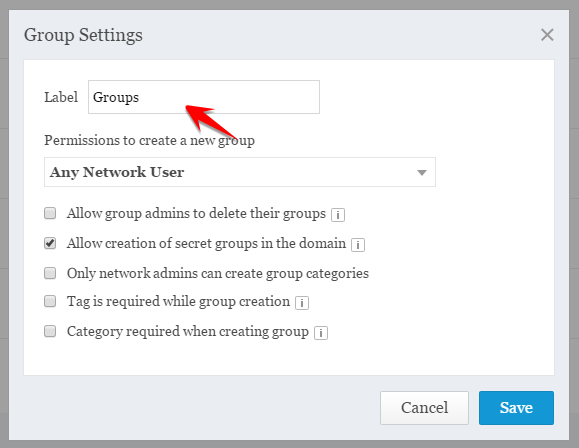 /Manage Modules & Settings /How Do I Re-label Project, Groups or Department Label? Based on your organization requirement you can re-label Teams (Project, Groups or Department) to meet your needs. For e.g. some of our clients call Projects as Workspace, Groups as Forums and Departments as Stores.